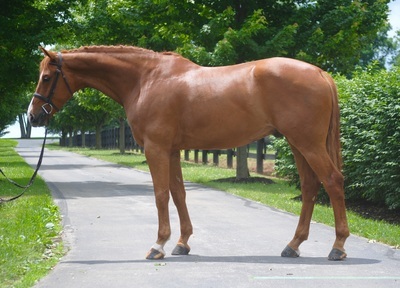 Ferrari is a super young horse who is ready to grow into the horse you want him to be. Athletic and unfazed by anything, he has potential for a career in the jumper ring, equitation ring, or both! Ferrari is currently being introduced to the Big Eq classes.